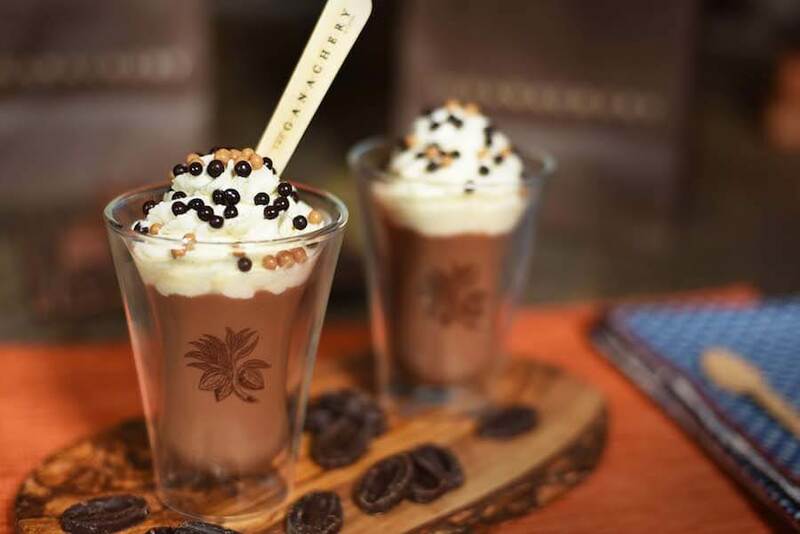 Fall is just around the corner and The Ganachery at Disney Springs is looking to celebrate the new season with some great new treats to make you forget all about summer. What better way to bring in the Fall than with some Halloween-themed treats? 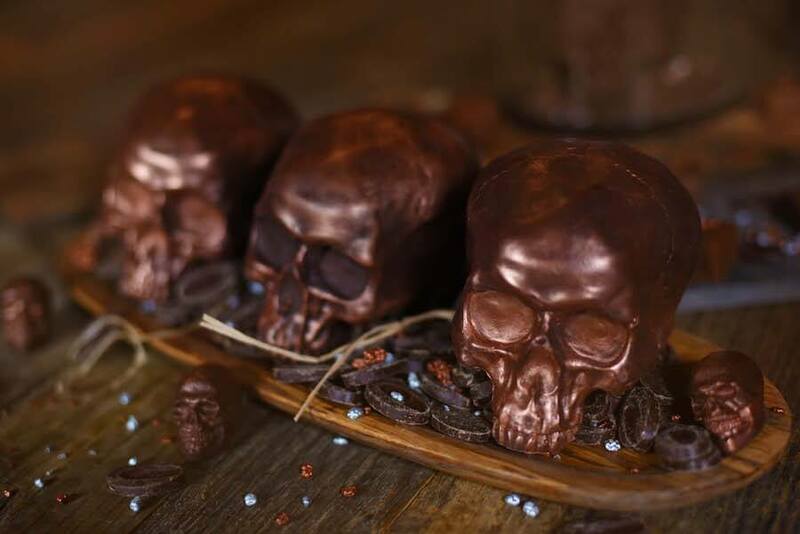 These dark chocolate skulls are the perfect thing to get you into the Halloween spirit. These chilling treats come in two sizes. The bite-sized skull is filled with a salted caramel ganache, while the larger skull comes hollow. Both skulls are brushed with a bronze deco powder to give them that spooky look. 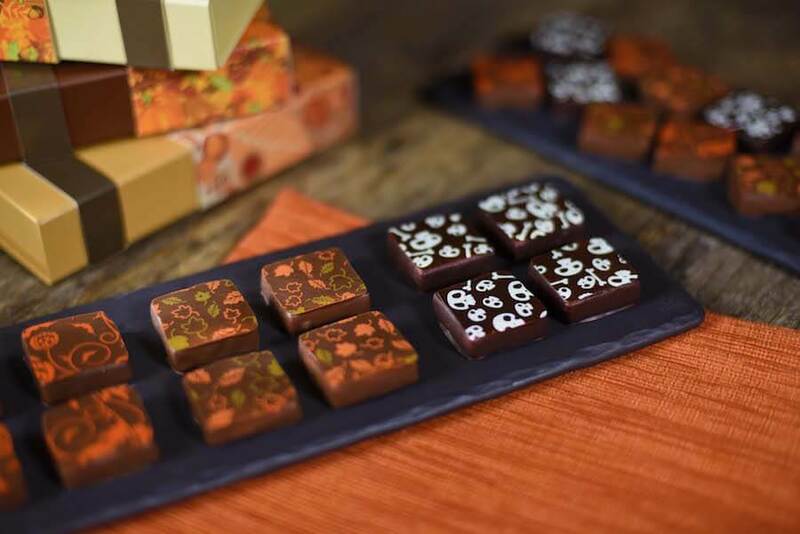 For a less authentic Halloween treat, The Ganachery will also have Fall and Halloween themed ganache squares. These delectable bites will come in pumpkin spice latte and maple pecan flavors. 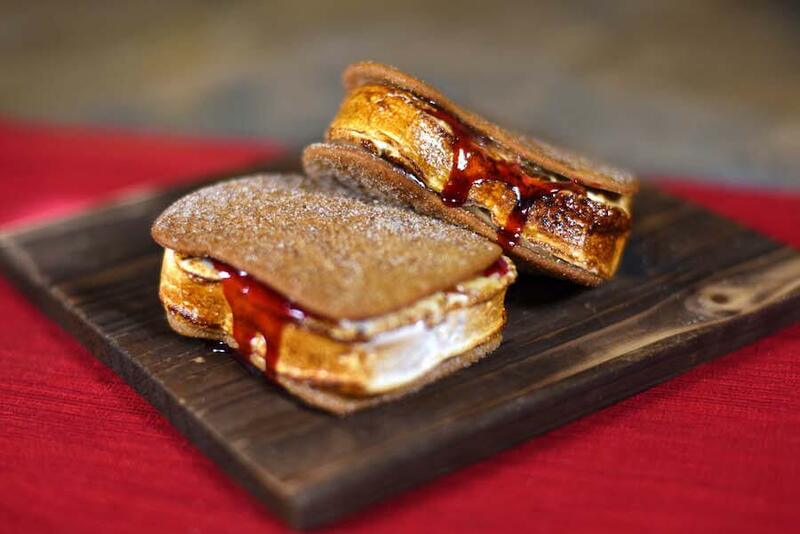 The new PB&J S’more is the perfect back-to-school snack, combining two of our all-time favorites. The sweet sandwich features graham crackers smothered in peanut butter ganache, raspberry jelly and a vanilla bean marshmallow roasted to order. The Madagascan vanilla bean marshmallow provides an alternative for those who just want that fluffy white treat. 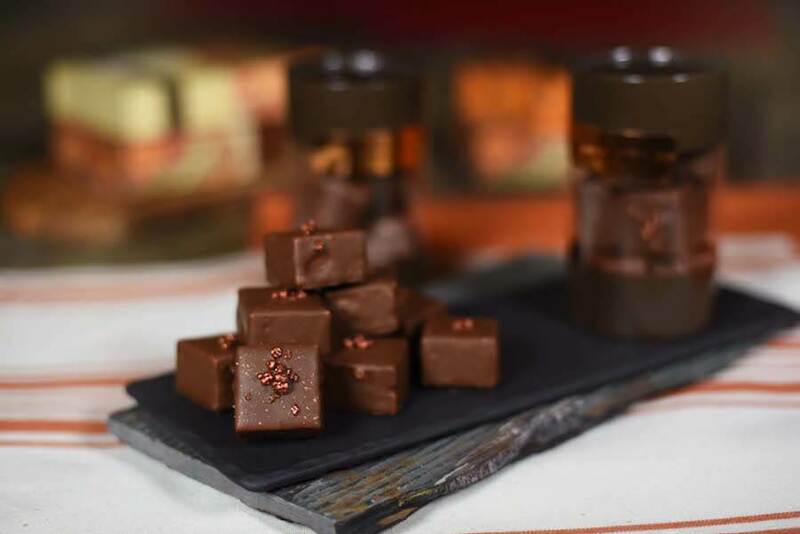 The bite-sized, milk chocolate dipped marshmallow treats come topped with crunchy little crispies. Finally, the Fall can’t be complete without the hot cocoa. The chocolatiers at The Ganachery have whipped up a tasty take on the classic beverage, topping it with vanilla bean whipped cream and dark chocolate crispy pearls. All of these new treats will be available beginning September 29 and lasting through October.